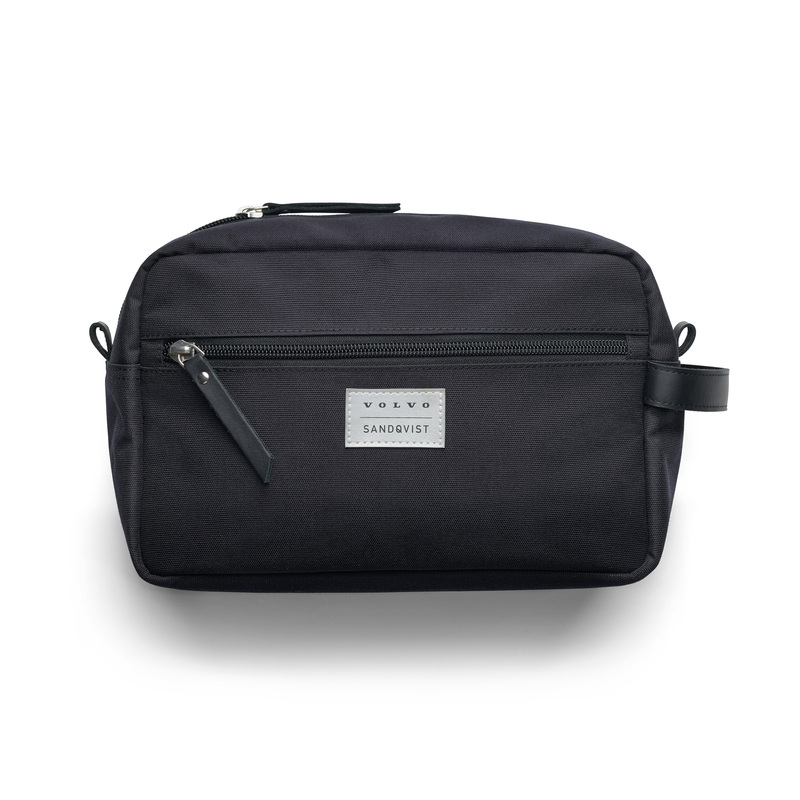 This wash bag – designed and developed by Volvo Cars in conjunction with leading manufacturers of luggage and accessories, Sandqvist – is made of Cordura® fabric that´s lightweight, water-resistant and almost impossible to tear. It has an leather hanger on the side, as well as a outside zipper pocket on the front. Inside, there´s three inner slip zipper pockets. Dimensions: 25x16x10cm.